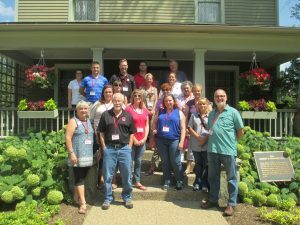 On August 2nd, various staff members from across the College of Food Agriculture and Environmental Sciences had the chance to take part in the annual Staff Advisory Council hosted road trip. 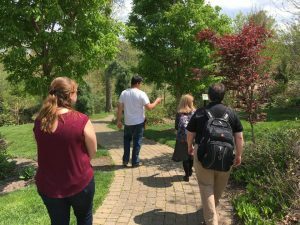 This year the road trip was held at the Wooster campus where staff had the opportunity to discover new research being done through CFAES and how the college collaborates with local businesses. 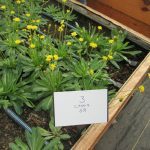 The first learning experience on the tour consisted of stops at the Buckeye Gold Rubber Dandelion greenhouses and processing plant. 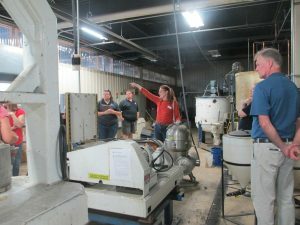 Here, Dr. Katrina Cornish provided an overview to how the Buckeye Gold dandelions are used for rubber production and further showed staff the steps that go into the production process. The second stop of the trip lead the group to the Certified Angus Beef Culinary Center. While at CAB, road trip members were hosted by Brent Eichar, Senior Vice President and Taylor Ardrey, Education & Events Manager. Staff members learned about the CAB brand, what the logo represents and how CAB works with groups like CFAES to help educate the next generation. 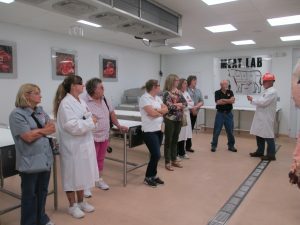 Staff members also got treated to lunch at CAB and participated in two tours, the ‘Science Behind the Sizzle’ and the CAB brand office tour. The last portion of the tour took CFAES to the J.M. Smucker Company in Orrville. Here, staff members received a tour of the company campus, call center, dining area, orchard and the discovery building. Tour members also got the opportunity to visit the house that J.M. Smucker lived in, which is located only 500 feet from the Smucker corporate headquarters. Each year CFAES Staff Advisory Council plans the Staff Road Trip to highlight the various facets of our college and to celebrate staff. Be sure to reserve your spot quickly when next year’s road trip is announced!